Maybe it is because there were no battles there? Good question. I think it could make for a fun map, but there are a lot of other planets I could see them doing first. It just occurred to me how weird it is EA Battlefront II has no Mustafar map. Did they at least port Sullust from the first game? They didn’t port any maps from the first game. I don’t think it’s really that weird that Mustafar is missing. They didn’t even have Bespin or Geonosis when the game first shipped. Well that’s a waste of resources. They have all these perfectly good maps sitting there ready to be used. I have played the game since launch. Anakin was added today, which is nice. I knew from the moment the EA deal was announced that nothing good could come of it. It’s basically shaking hands with the Devil. I really love this idea!! I think the Tragedy of Darth Plagueis the Wise loses its magic if we see it happen. I always thought a missed opportunity was to have Maul appear in SOLO. That could’ve been a younger Snoke, thereby explaining the huge plothole of his lack of influence during the OT. He was a crimelord in the shadows, profiting off the war and thus funding the First Order when he saw the vacuum. I hadn’t even thought of that. That would’ve brilliant. I’m fine with Snoke as is, but answers would be nice, especially compared to Maul whose presence here simply raises more questions. That would have been genius. 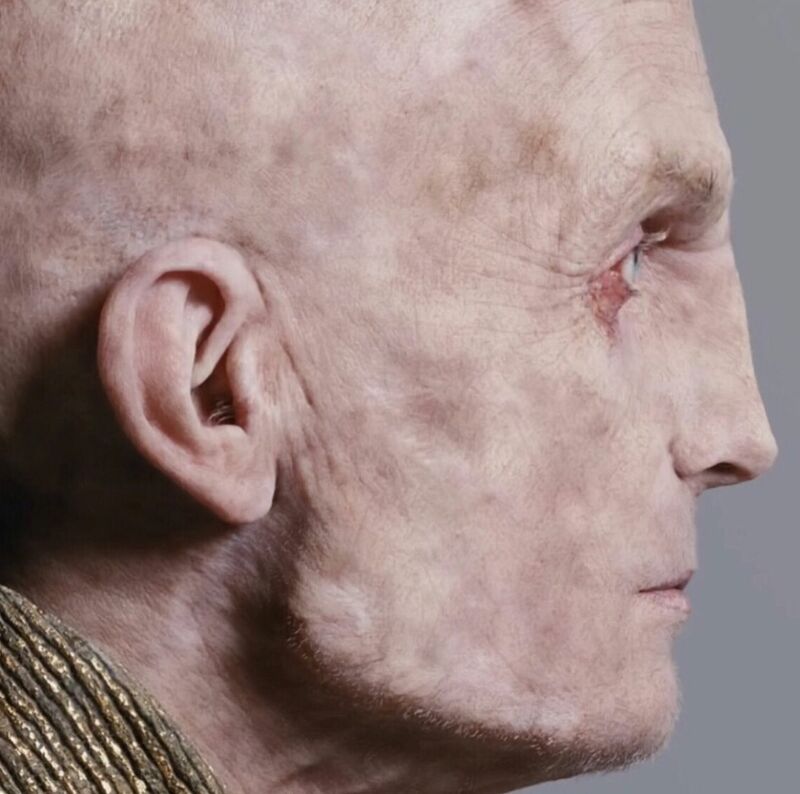 I imagine it would be easy to edit, considering we have no idea what species Snoke is or what he looked like before scaring. You just need an actor (or animation). Opera Scene, story of Darth Plaigues. Anakin climbs into his starfighter (from leaving for Mustafar), use Artoo and Threepio to establish that the Chancellor has been kidnapped. Padme standing, looking at the burning Senate building (replace Jedi temple). Maybe add flashes of space battle to sky. Obi-Wan and Anakin entering the space battle. The change in Anakin’s design would be too jarring. He’s got short hair, no now he’s got long hair, oh wait it’s short again, oh and now it’s back to long. And it’s just the hair that changes. Everyshot/ scene I mentioned is from Revenge of the Sith, I just intend to use this idea in a Clones/ Sith hybrid. I also had an idea for a nonlinear edit, which begins with Anakin and Obi-Wan dueling, and the audience later learns that Vader is Anakin. In a way, it’s the reverse of the story Obi-Wan tells Luke. That’s cool. Where did you get that opening shot from? Here’s another random idea. I’ve tried to think of ways to make it clearer that Sidious’ “deformed” face is really his true face that has been corrupted by his powerful connection to the dark side. His “Palpatine” face merely being a mask he wears using Sith alchemy or whatever. His apparent face melting with lightning in ROTS makes this confusing, and some edits alleviate this with the “flickering lights” method. But another idea I had, which may or may not work, would be to mask Palpatine/Sidious in his brief scenes with Maul and Dooku in TPM and AOTC respectively, and then desaturate his skin tone to where it it is almost completely colorless. While he won’t look as shriveled up, it might help sell that idea that wears/removes that “mask” when he switches between personas, to help further hide his own identity. And the masking process wouldn’t be too difficult, considering he is silhouetted by his black robes and hood. Cheers. The opening shot is from the fan edit Battle of Scarrif, I believe. 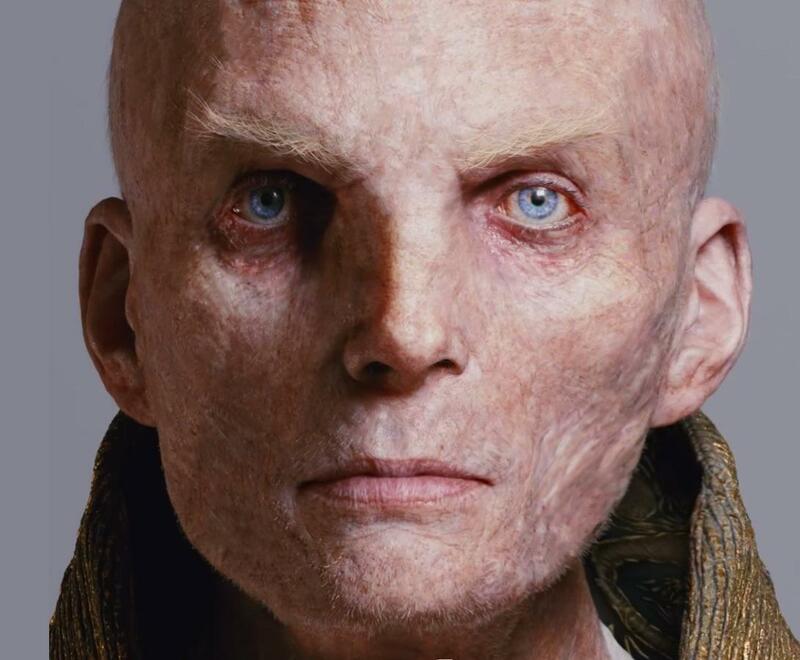 I agree there needs to be an indication that Palpatines true face is his ancient face, I was thinking it might be easier to give him yellow eyes during the “ironic isnt it” close up during the opera scene. FWIW, I did attempt something in this regard, although the results were unsatisfactory. Hell, you can’t even tell I used the deformed face when the lights flash off. I’d need to do it again, but I think the concept at least holds up. So… I reduced that 'wide lens’ effect in TPM. Like what Snooker did a while ago. It is also color corrected.